If an individual is a rich man with a lot of real estate properties along with him, having a sizeable bank balance and all the luxuries possessed, then calculating his net worth would be a fascinating task to accomplish. Though any individual can calculate its net worth, let’s take a glimpse as to what this word ‘net worth’ means, and the method to calculate it. Net worth is the relationship between an individual’s assets and debts. Net worth essentially tells the present worth of an individual. It also describes the importance of an individual and the liabilities possessed by him. It is the balance of your existing liabilities and assets. It ranks an individual according to the financial position that he holds in the economy. It also tells that how much money a person will show if he sells all his liabilities and pay off the debts. The first and foremost step in calculating your net worth is making a list of all your assets. This may include all your savings, your current real estate properties, your vehicles, any bonds a person has, the stocks purchased, and anything that holds an advantage in the near future. This may also include your liquid assets like gold coins, retirement, investments, cash, CDs, musical instruments, and many more. While listing each item, the cost of each asset should be equal to or more than $500. After making a list of all the assets and the cost of each thing, he can sum up the cost of all the assets, and the total is calculated. He can also make a list for the same, in which one side he can write the assets and on the other side the cost of each asset, and then calculate the total value. Your credit card balance, your home and car loans, student loans, auto loans, the mortgage of your car loans, and all the personal loans that need to be paid off in a certain time. Once the list is being prepared for calculating the debts, all the debts are summed up, the total is being calculated. He can also do this by making the list of all the debts on one side of the paper and the cost of each debt on the other side. Then the total debt can be calculated and may be written under the list of price of the individual debt. 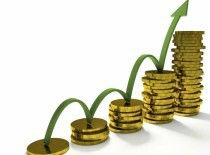 It is assumed that when the total assets are more than the debts, then net worth is a positive value. When the total assets are less than the debts, then the net worth is a negative value and is depreciating. It becomes a matter of serious concern if net worth comes out in negative values. It is advisable to take serious steps, in order to strengthen it. If the net worth comes out as a positive value, there is a chance of investing and walking towards the goals. Net worth is an extremely simple process to find out the financial status. This is especially beneficial if the investment is to be done in present.